President Donald Trump claimed in a new interview with the New York Times that the first lady of Japan doesn't speak English. 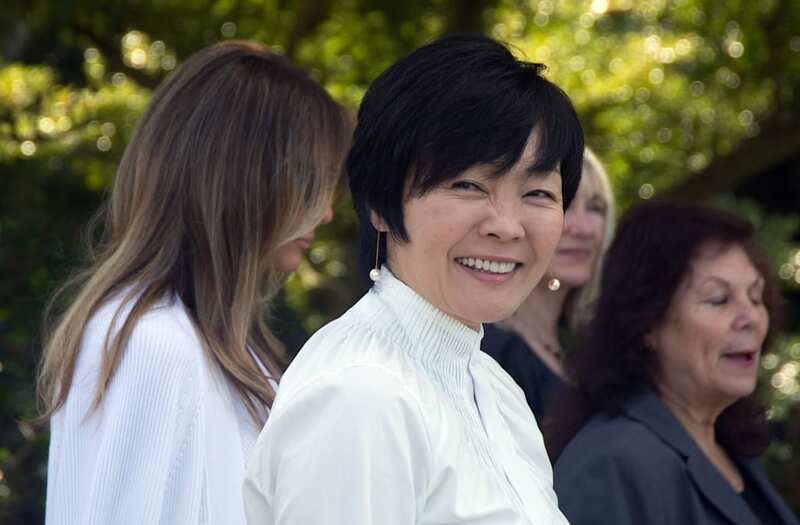 Talking about a G-20 dinner in which he sat next to Japan's First Lady Akie Abe, Trump said, "she's a terrific woman, but doesn't speak English." Asked to clarify if that meant she spoke "nothing, like zero," Trump said, "like, not 'hello." The hour and 45-minute meal was difficult for Trump, but he said there was one Japanese interpreter to help and he called Akie Abe a "lovely woman." There is at least one video online that would suggest Akie Abe can speak very good English, though. In a 2014 speech for the Ford Foundation, Akie Abe talks for about 15 minutes in English, seeming to read from prepared remarks.